The Berkeley Artificial Intelligence Research (BAIR) Lab brings together UC Berkeley researchers across the areas of computer vision, machine learning, natural language processing, planning, and robotics. 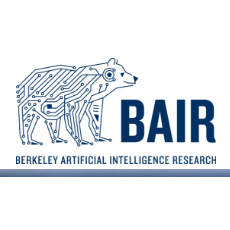 BAIR includes over two dozen faculty and more than a hundred graduate students pursuing research on fundamental advances in the above areas as well as cross-cutting themes including multi-modal deep learning, human-compatible AI, and connecting AI with other scientific disciplines and the humanities. BAIR is affiliated with the CITRIS People and Robots (CPAR) Initiative. Caffe is a deep learning framework made with expression, speed, and modularity in mind. Caffe powers academic research projects, startup prototypes, and large-scale industrial applications in vision, speech, and multimedia. In Caffe’s first year, it has been forked by over 1,000 developers and had many significant changes, so the framework tracks the state-of-the-art in both code and models.